An air-conditioned coach whisks you away from your Princeville, Wailua, Lihue, or Poipu hotel, with a knowledgeable and personable tour guide to entertain you. 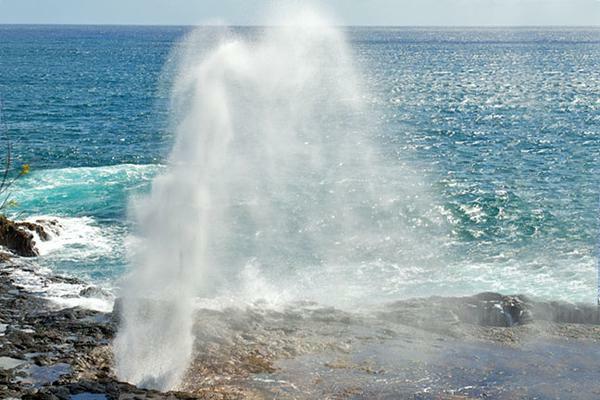 As you pass through Poipu on the south coast, you stop to visit the Spouting Horn, a lava tube through which the surf is forced into the air sometimes as high as 50 feet. In the right light, the mist explodes into every color of the rainbow! 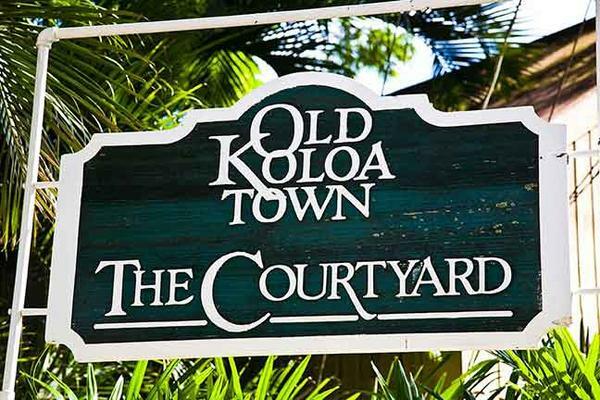 Then visit the Koloa Sugar Mill, once the heart of Kauai’s sugar industry. At the Puhi overlook, stop to see how the forces of nature carved Queen Victoria’s profile on a mountain ridge. You’ll be treated with tales of local history and legends between stops at the most spectacular sights on south Kauai. 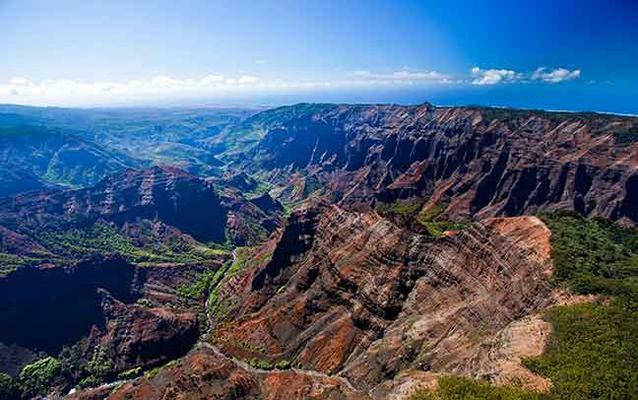 Enjoy the drive along Route 580, which provides gorgeous views of the Wailua River. We’ll make several 5-10 minute photo stops along the route for a good leg stretch and restroom breaks. 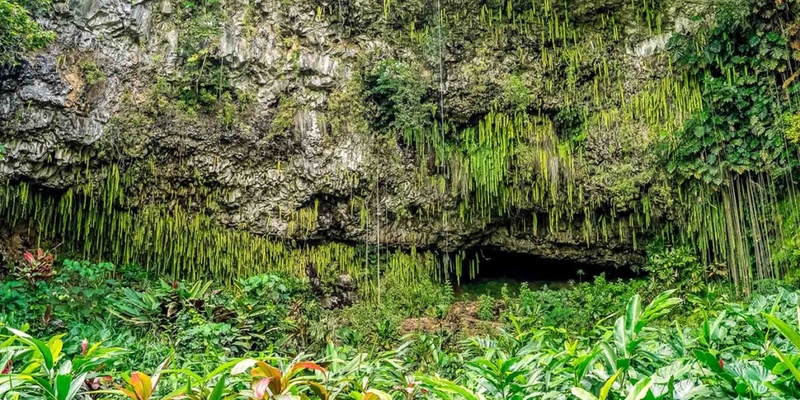 At the Grotto, where the ferns grow upside-down from the lava rock ceiling, musicians serenade you with lovely Hawaiian music. 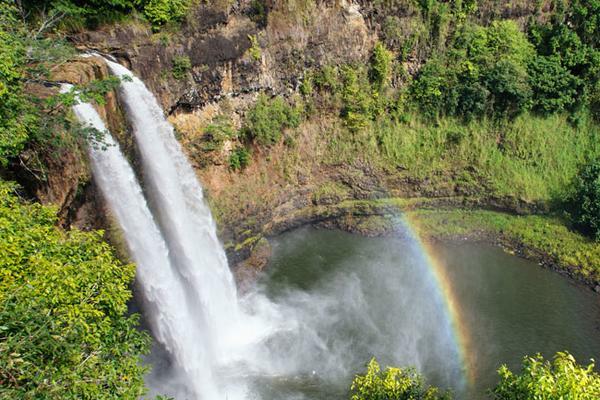 It’s the perfect finishing touch to your day exploring some of the wonders of Kauai! 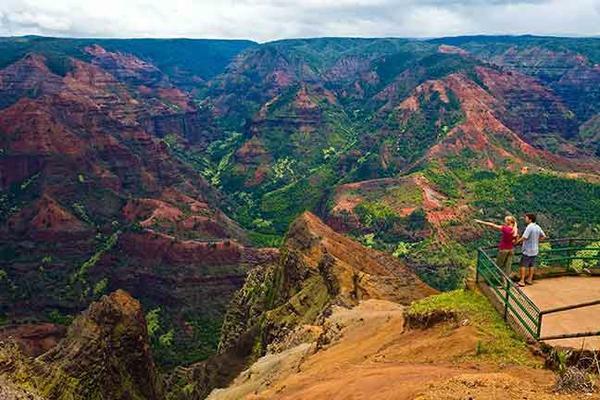 This wonderful movie tour of Kauai will give you the opportunity to explore adventurous, exciting, and romantic movie locations, while you learn about the rich culture and history of the island.